Time to start making your plans for holiday travel to New York City. If you’re planning on going to Radio City Music Hall in November to see the Rockettes in the famous Radio City Christmas Spectacular, you can save some money with discount tickets from Goldstar or Groupon. Goldstar is offering discounted tickets priced at $39 to $85 for seats regularly $75.80 to $118.35. Groupon is running a ticket ticket offer with prices from $39 to $85. Telecharge Offers promo code – Use promo code TELOCT to save up to 35% on tickets. 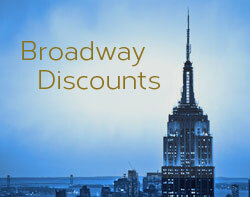 Playbill Promo Code – Use promo code PLAYOCT to save up to 35% on select seats and performances. BroadwayBox Promo Code – Use promo code BOXNOV to save up to 35% on tickets for select seats and performances. If you’re going to be in New York City over the holiday season, you really should consider going to see the Radio City Christmas Spectacular featuring the Rockettes. The show changes each year and the new productions incorporate new set designs and the latest in technology. The performances are held at the beautiful Radio City Music Hall at 1260 Avenue of the Americas (right next to Rockefeller Center). See a video of the Rockettes performing the famous Parade of the Wooden Soldiers. 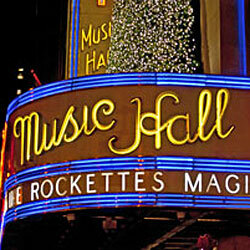 The Radio City Christmas Spectacular is one of the hottest tickets of the NYC holiday season. There are usually several discount ticket options available throughout the season. We’ll post information about more discount options as they become available. 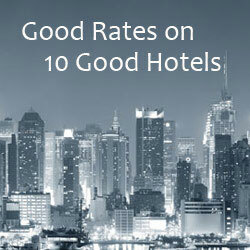 Find hotels closest to Radio City Music Hall.